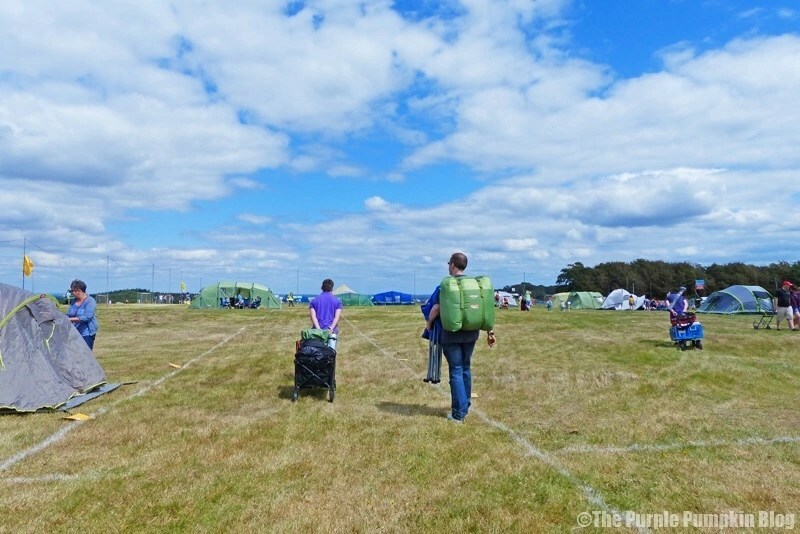 Wow, I can’t believe that a month ago we were setting off for Camp Bestival. 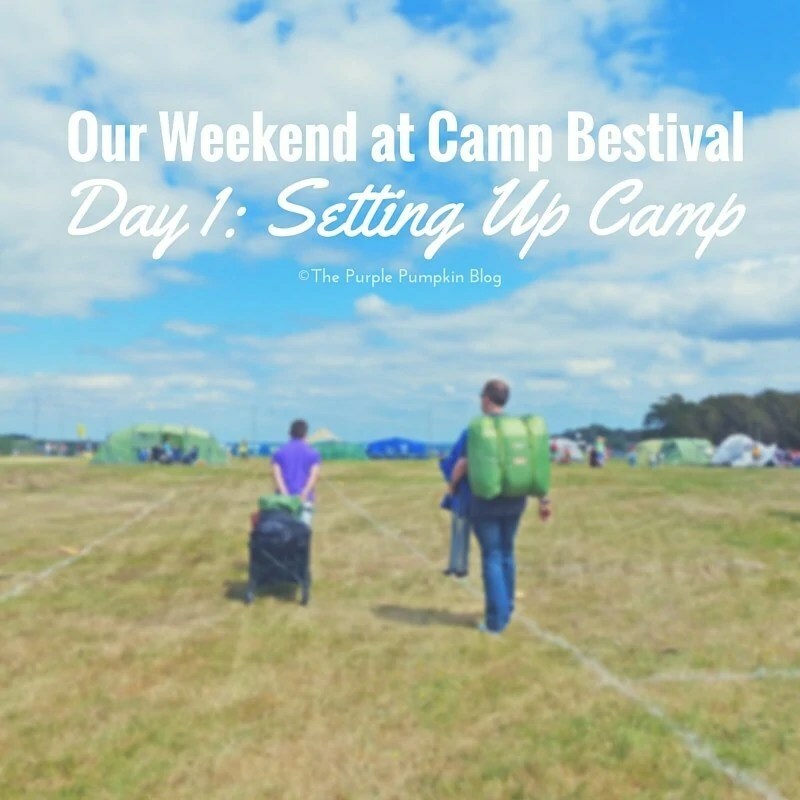 I can’t believe it has taken me this long to begin writing about our weekend… but finally, here I am with our weekend at Camp Bestival trip report. I’ve decided, as I do with all of my trip reports, to break it down into separate days. It makes it a lot easier for me to write, and isn’t one huge post for you to read! 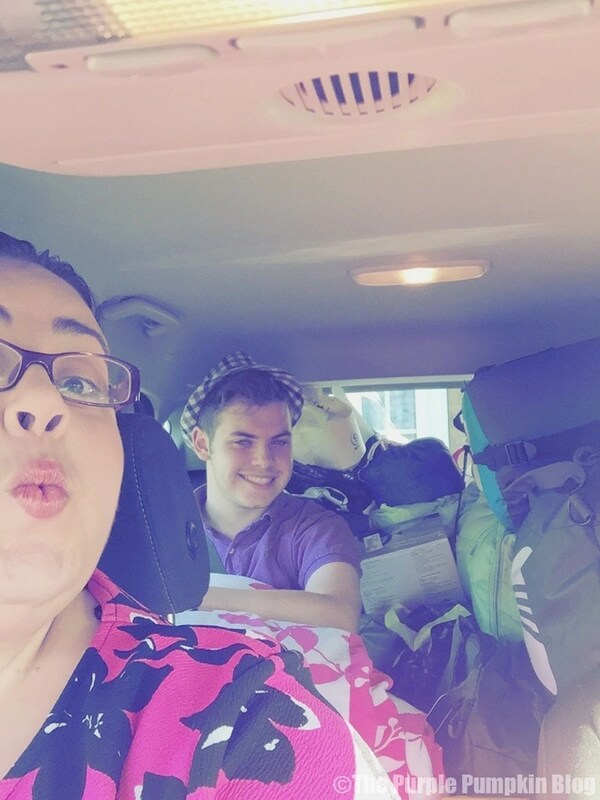 A few days before going to Camp Bestival, we thought we should have a trial run of fitting everything into the car. We have a Ford B-Max, and I was quite confident that we would be fine. However, my husband, Steve, had bad news and said he didn’t think everything would fit! Sure, we had a long list of camping gear that I thought we would need, and I went back over it to see if anything could be left behind, but there wasn’t really anything that would make an impact on space in the car. I looked into getting a roof bar fitted and buying a roof box, but since our car has sliding doors, it would seem that only Ford would be able to fit them and the cost just didn’t justify the need. I concluded that we would “be fine” and that I would “make it fit”. Were they famous last words?! After spending about half an hour or so playing Tetris with camping gear, we were ready to go. Sure, my son Liam had to travel to Dorset with a kingsize duvet on his lap, and I only had a small window of vision at the back, and Steve had to also have stuff on his lap, but we made it! We hit the road around 7:30 am, with the estimated time of arrival around 11 ish. Fortunately, our drive down pretty much traffic free, with just a few jams along the way, and the weather was sunny. It was a lot nicer than our drive to Wiltshire the weekend before, and took less time as well, even though it was further away! We turned off our sat-nav, as instructed, when we started to see Camp Bestival signs, which were easy to follow, and before long we were pulling into the Camping Plus carpark. A few rows of cars were already there, and as we started to unload; my worries that we had too much stuff was all gone – compared to some, it was like we didn’t have enough stuff! We knew we would not make it in one trip, so took out the tent and whatever else we could fit into the trolley that we had bought. The trolley was such a good buy, as it saved hiring one – and also came in very handy over the weekend too. We walked up to the entrance gates where there was a bit of a jumbled crowd, and the startings of a line. It felt disorganised, and I could hear mutterings from other people wondering where they should go to line up. There were maybe 5 or 6 separate gates which the crowd would eventually fan out into, and a couple of stewards soon appeared to direct the flow of people. We collected our Press wrist bands from a nearby kiosk, and were then given our Camp Bestival bands, as well as ones for Camping Plus, at the gate. 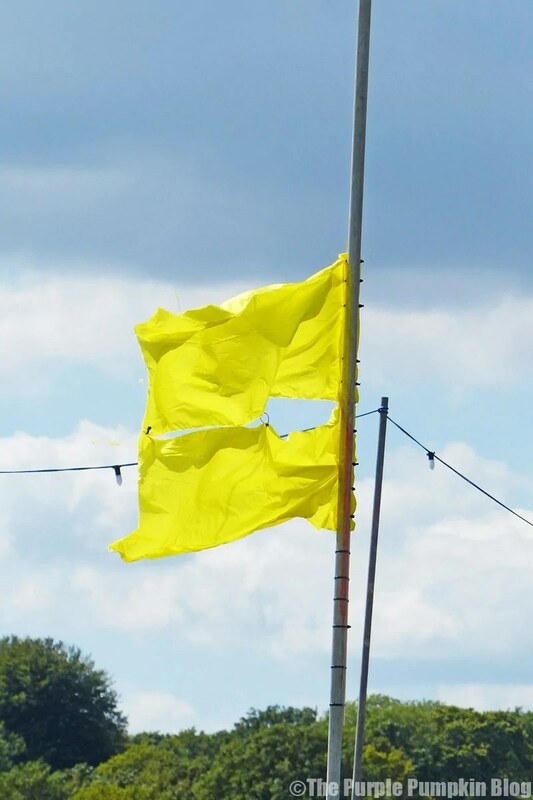 Once through the gates (from car to lining up to walking into the camp field, it was about hour) we started to walk through the different coloured zones, towards the yellow flag to find our allocated pitch. I’d say it was about a 5-7 minute walk to the yellow zone from the gate, with a gentle gradient down, which then levelled off. 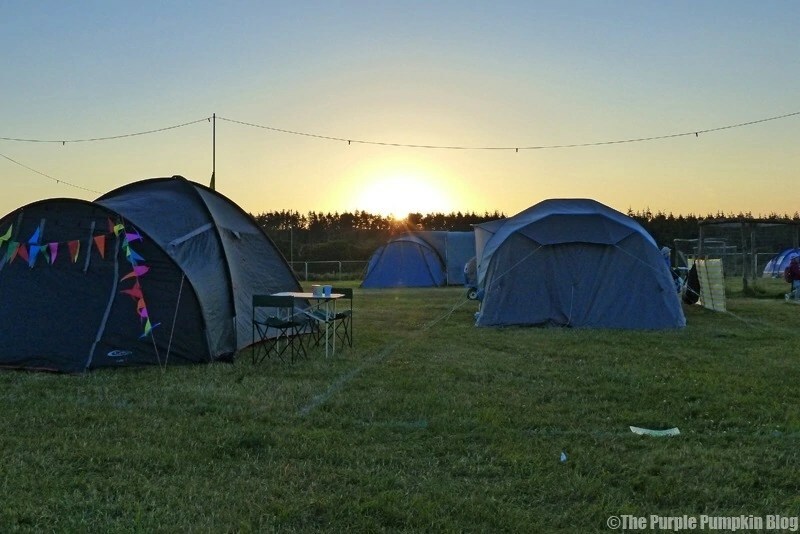 For this Camp Bestival I had mobility issues due to stupid weight gain, and all these little things mattered to me, and it’s why we decided to camp in Camping Plus, which has flatter land to pitch on, as well as being nearer to the car park. Fortunately, I’m on the road to weight loss again, with a stone already shifted since the festival weekend, so all these worries shouldn’t be there for next years festival. Our pitch was marked with my name on a card, staked into the ground, and we (well, my boys!) started pitching our Vango AirBeam Capri 400 tent* which I’ve already written about in detail in another post, but for the purposes of this trip report, I will say that it was super easy to pitch, and it was up in around 20 minutes or so. 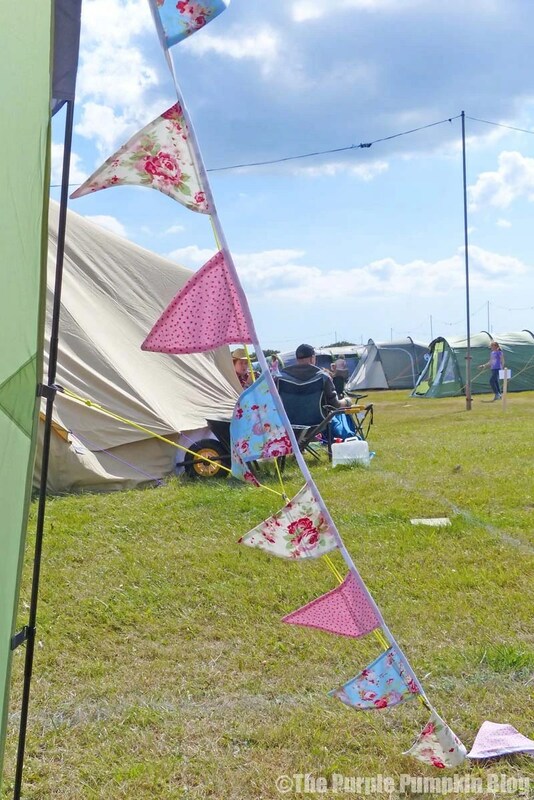 When we arrived we didn’t have any direct neighbours – but did chat to a family a couple of pitches along who had a pretty awesome bell tent! With that done, the boys went back to the car to get the rest of our stuff, I did the important task of attaching my handmade bunting and taking some photos of the surroundings to show my sister what it was like, as she’s thinking of coming next year with her family, and for you guys too, of course! I personally like knowing what things look like – I’m not overly good with the unexpected, and use photos of places as reference to how well I’ll cope with things (see aforementioned issue). I loved seeing the different kinds of tents, the way people decorated them, and seeing all the different flags and such flying in the breeze. 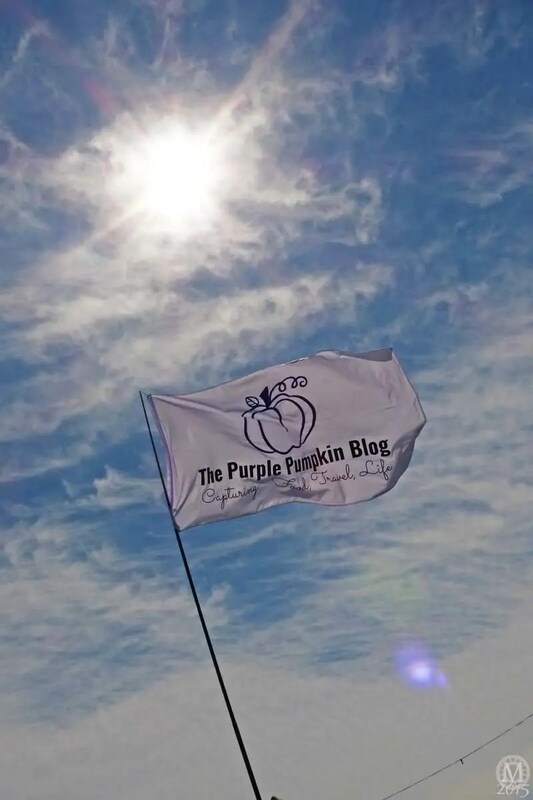 We did have a flag that I’d bought via a fellow blogger, but didn’t pick that up until Saturday. 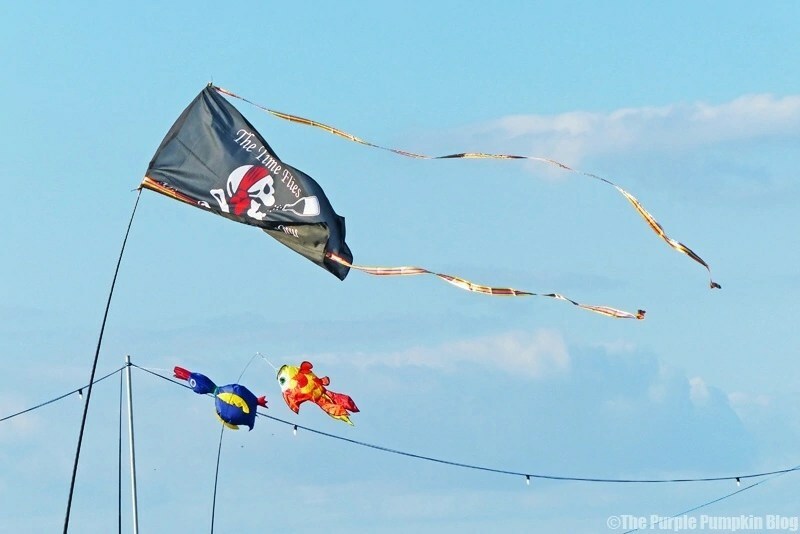 I’ll include it here because we did fly it for the remaining time we were at Camp Bestival! With the two trips back and forth to the car done, we all set about organising the tent (as best we could, I’ll follow this up with a first-time camping post soon) and realising that actually, we forgot to bring our cider stash, and the solar fairy lights I’d bought… grrr! Priorities people! Our clothes and pillows had been stuffed into a couple of Vango Cargo bags*. We shared the 90 one, and Liam had the 45. I was amazed at how much the bags held, and they felt very strong and secure. We’re going to take the Cargo 90 one with us on holiday this year – flat pack it on the way out and use it on the way back to bring home the stuff we I buy. Vango had kindly provided us with a Hi-Rise Double Airbed*, which was 210cm – larger than your average airbed, and had height too, which meant we were not sleeping too close to the ground. It was quick to blow up with our battery operated pump which came with the single airbed that we had bought for Liam to sleep on. Because of its size, it took up a lot of space in the bedroom area of our tent, and there wasn’t any room for Liam’s airbed. And this is why I said it was a cozy 4 man tent, if you all had to share the bedroom area! However, we’d already decided, for privacy, he would be using the living area as a bedroom each evening, so it wasn’t really a problem. The airbed was indeed sturdy and very, very comfortable. I’m going as far as saying that the nights we slept in a tent on this airbed, was the best nights sleep I’ve had for a long time! 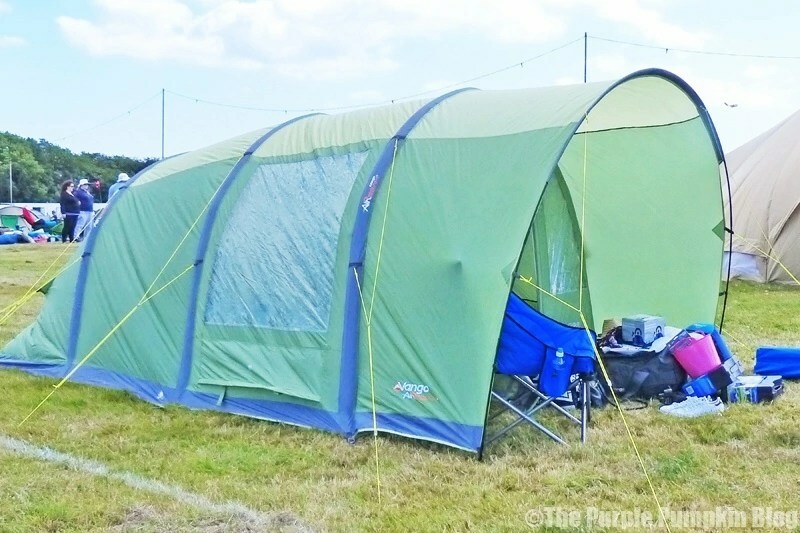 I’m looking forward to sleeping on it again when we head to BlogStock in a couple of weekends time. For bedding we threw our duvet over the airbed, to act as a bed sheet, had an extra couple of blankets for warm, and shared the Serenity Double Sleeping Bag*, which Vango also provided us with. I knew we wouldn’t use it to climb into – one, I am a fidget in bed, so trying to turn over with both of us sharing a sleeping bag was not going to be happening! And two, I don’t like to feel confined when sleeping. On our first night, we unzipped it and kind of used a side each as a duvet, but after that, we zipped it back up to use as a cover. The sleeping bag itself was soft and had such a nice feel to it – nothing like I remember the sleeping bag I slept in when I was a Girl Guide! It was so warm, cozy and snuggly too, and that combined with the airbed, I think helped to the good nights sleep we both had over the weekend. Liam had a single airbed which we had already owned, and used a blanket as a bed sheet, and a Vango Harmony Single Sleeping Bag*. He did sleep inside the bag, which had the same nice texture and feel as our double one. 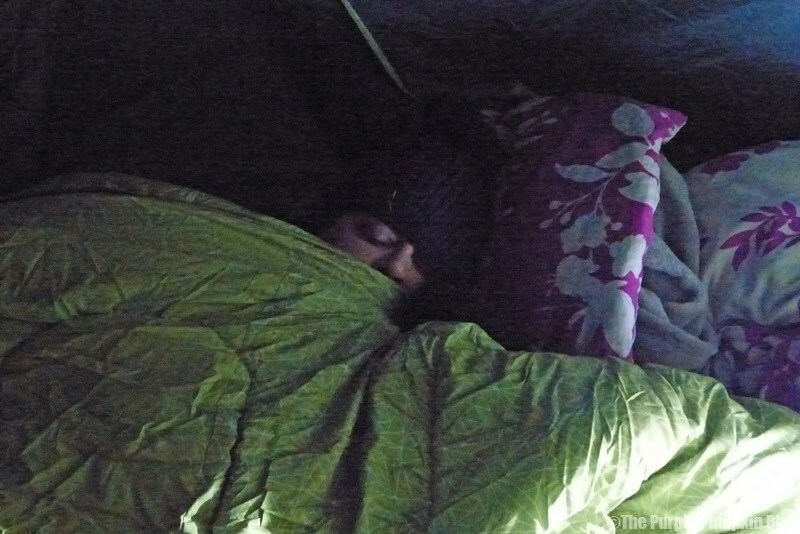 He said it was nice – but he wasn’t used to being inside a sleeping bag to sleep and found it weird! He slept well in it though, we had to wake him up every morning – teens, right?! Both sleeping bags rolled up to fit in their respective tote bags with ease, and are now all safely tucked away to use again. We were a short walk away from the loos and shower trailers. The toilets were in three trailer cabins – with 3 each for men and women to each cabin. Each had steps leading up to the toilets, which were supplied with toilet paper, sanitary bins, mirrors, proper sinks (cold running water) with soap, hand cream and paper towels. There were also a couple of portable toilets for disabled users – these only had toilet roll and hand gel provided inside. By the end of the day, these were particularly bad with them being blocked, and, err, full up. The toilets in the cabins were okay, but after a weekend of use, they were quite stinky, as you would imagine. One of the cabins didn’t have the water pressure set correctly, so water just sprayed every where when trying to use the sink, and the floor ended up being soaked. Some of the door locks didn’t fit properly either, so you had to do that balancing over the loo and holding the door shut act…! Now, I know we’re camping and back to nature and all that, but it amazes me how some people treat a portable lav – leaving paper towels on the floor, sanitary towels not disposed of correctly (gross) – when there are bins, and the hand wash and cream going missing… what is wrong with these people? You wouldn’t do that at home right?? Steve said that in one of the men’s loos, that people had broken off the door locks, another had the bin lid broken and tossed to one side, and that floors were flooded, again, I assume because of the wrong water pressure in the sinks. We did see maintenance workers going in to replenish supplies, but I can’t help but feel there were not enough toilets for the amount of people who were using them in that section of the camp. We didn’t use the showers at all, so can’t comment on those – dry shampoo and dry shower gel kept us clean all weekend. There was also a metal washing up station with sinks and taps, as well as a drinking water tap. We filled up a container with water for drinking, and then used the leftover water from the kettle to wash up with back at our tent. It’s amazing how time was flying as we set up camp. We took moments out to just sit back and chill out for a while. We had been sent some pretty awesome inflatable chairs from SunnCamp – a single*, and a double one*. We saw another family in a tent across the way with the same chairs too! They were quick to inflate and comfy too – according to both hubs and the boy. They were flocked, so had a nice touch and had a pretty dotty pattern on them. The double one, sadly had a split seam, so we were unable to use it. We were sent a replacement when I let them know; and we’ve been using it in the garden since Camp Bestival – so the photo of the chairs together are in our back garden, and the ones with Steve and Liam sitting in the single chair, at Camp Bestival! It was soon early evening, and having not eaten anything since a stop at a service station on the drive down from Essex, we were all really hungry. Liam had already been on a bit of a wander around the campsite, and discovered the food van closest to us was called Coffee and Bagels, and he and Steve went off to buy us one each. They filled a hole, but they were expensive bagels… Liam had a bacon bagel (£4), Steve had the New Yorker with emmental, pastrami, gherkins and mustard (£6) and I had the bagel with brie, hot streaky bacon and cranberry (£5). Next time, I’d remember to bring food for dinner, as we actually forgot to do this, and ended up using some of the bits we’d brought for breakfast. So the hot dogs were opened, and eggs were scrambled and they were the first things we cooked on our camping stove! 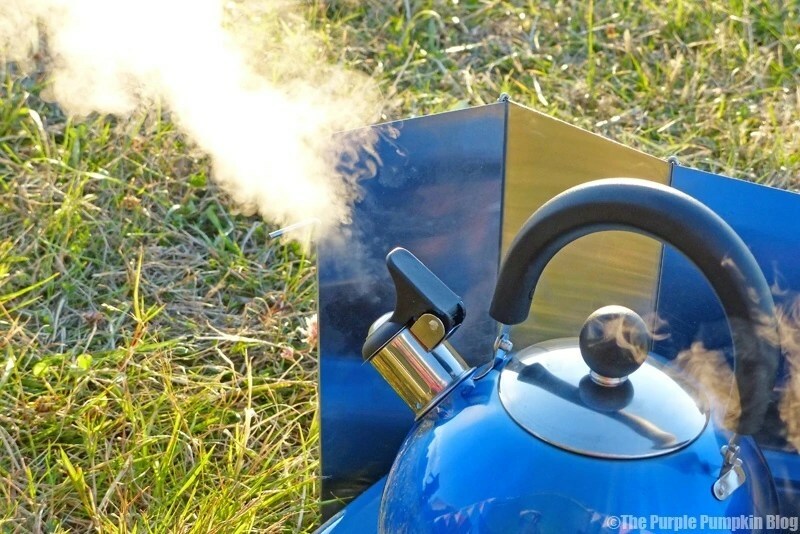 We also boiled the kettle (I loved the whistle!) and made a very welcome cuppa (in lieu of cider, also forgotten). We bought two [smaller, compact, in their own sturdy cases,] camping stoves. It was cheaper to do this than buy a big one – and we also only needed to use small cans of gas (which was bumping up the cost of the bigger stove we saw, as it needed a large gas cannister). The stove had a self igniter, so we didn’t actually make use of the Zippo lighter we’d been sent to review – it has got use back at home on the BBQ and for cintronella candles in the garden. After dinner, Liam got into a game of footie with some other kids (of all ages) – he’d come pepared with his football skins (to keep him warm) but forgot to pick up his football. I’m glad he found something to keep him occupied on the first night we were there. 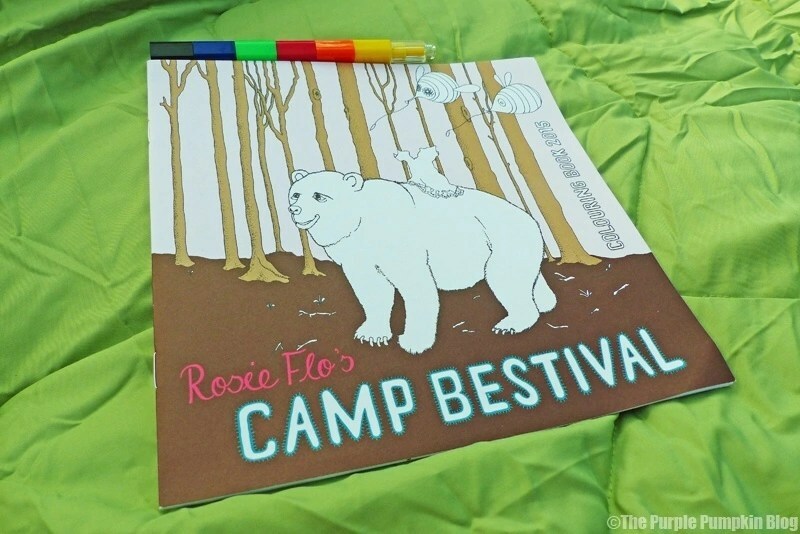 I wished we’d brought a pack of cards to play a few games of poker or rummy with, but I did occupy myself with the Camp Bestival colouring book! It came with the programme that I had bought earlier in the day for a tenner. There was also a lanyard, with maps on, as well as a crayon pen thing, and a tote bag to keep it all in. All of the fresh air, the setting up of camp and the long drive, started to take its toll. And with the sun now setting, and it starting to turn quite chilly, I made the executive (mum) decision that it would soon be bed time, and that I would not be getting up in the night to walk to the toilets in the freezing cold! Thank God for a strong bladder! 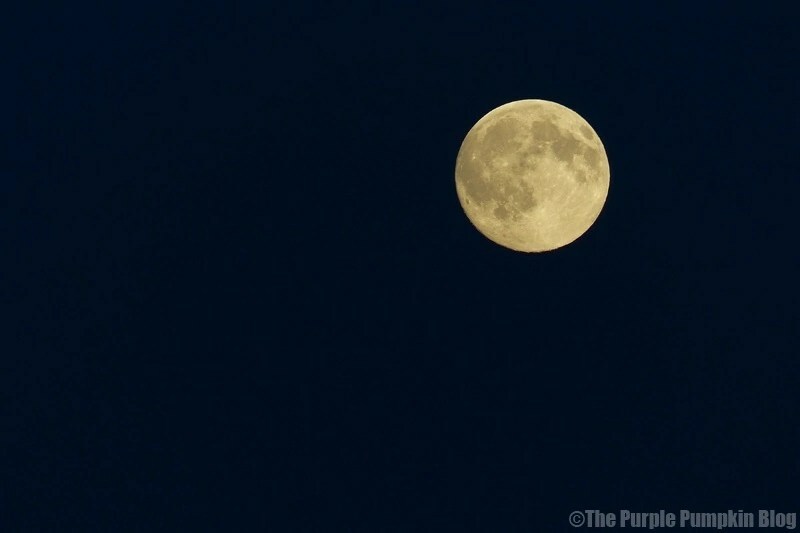 I took a final photo for the day of the full moon in the sky (just so happened to be a blue moon, in that it was the second full moon in the month, and that doesn’t happen very often!) It looked amazing. 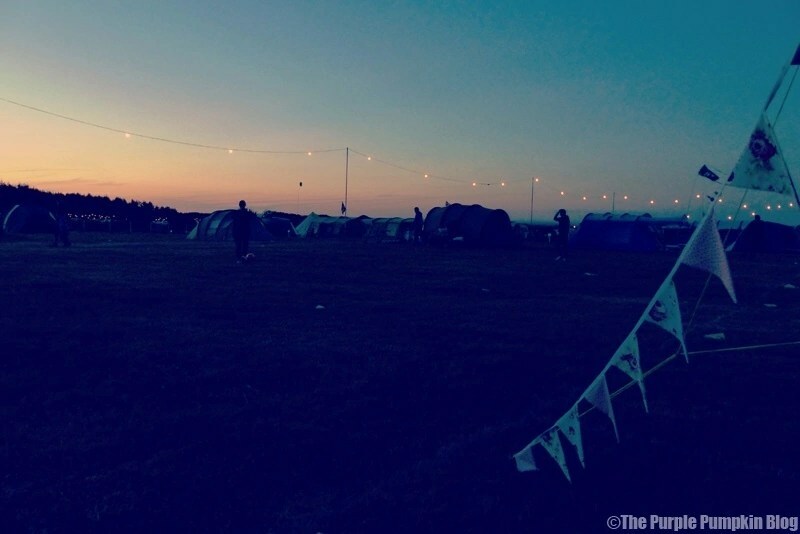 Disclosure: I received family Camp Bestival 2015 tickets in return for previews and reviews of this year’s festival. As always, views and opinions are my own. Items marked with * have been sent to me to review. I can’t quite believe we managed to get it all in either!! It was touch and go for a while! 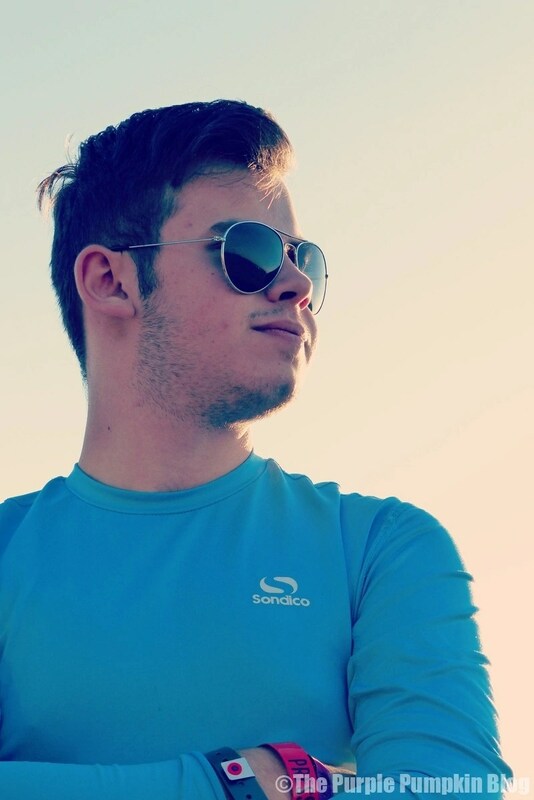 M your images are amazing. I could read your post over and over! We also have the Vango tent but i have yet to invest in the air bed and bags. 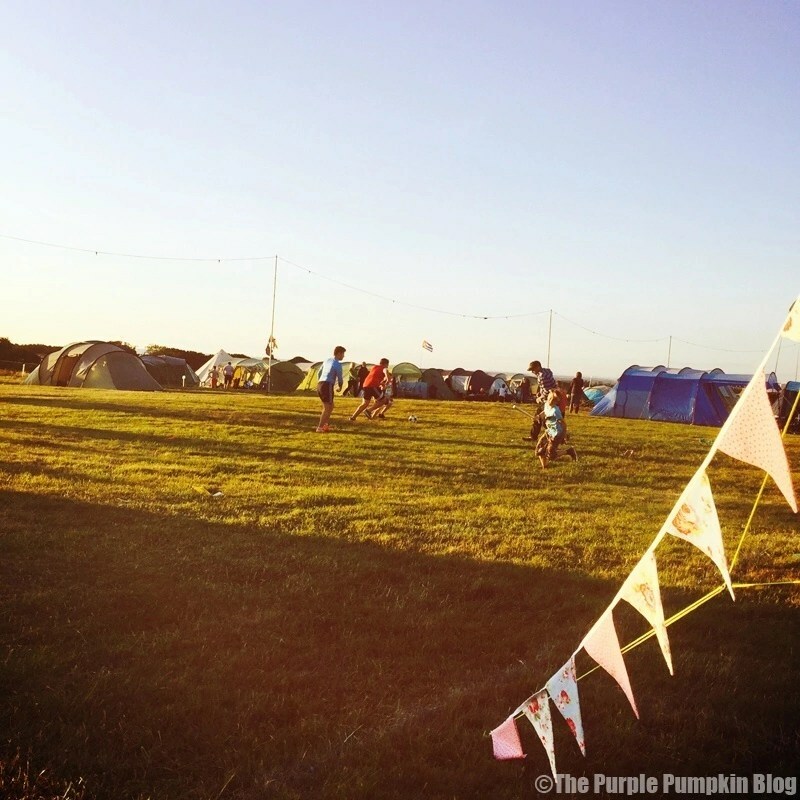 I have loved seeing all the Bestival posts accross blog land over the last few weeks… I’m so so jealous! I especially love your PRESS arm band! How cool is that!! They’ve been great to read – I’ve been catching as many as I can, have loved seeing everyone’s experiences. It did feel pretty cool to have a press arm band!!! It’s something I’ve always wanted to do – not sure if I was going to actually enjoy it… and I did, we all did! Ask me again though if we have to camp in the rain! !